It’s an open secret that higher education in the United States needs an overhaul. Universities across the nation are experiencing budget shortfalls, leading to increasing tuition and decreasing investment in teaching. So while tuition increases to record highs, student outcome has decreased, saddling a generation of college graduates with insurmountable student loan debt and a degree that can’t land them a job. Meanwhile, new high school graduates are indiscriminately funneled to college despite mounting evidence that it may no longer be worth the investment. Low-income students and their families are particularly affected by this phenomenon. Rapidly rising college tuition disproportionately affect low-income students, severely depressing their probability of graduating. Nationwide, the graduation rate for low-income college students is a fraction of middle- and high-income students. Low-income college dropouts are still liable for paying back their student loans, even though they don’t have a degree to show for those loans. Worse yet, low-income college students who do manage to graduate still face much lower prospects even after graduation than their middle- and high-income counterparts. No matter the graduation outcome, low-income college students are seeing diminishing returns for their efforts. Their burgeoning student loan debt traps them into decades of payments that they can’t make, handicapping their short and long term financial and social mobility. For many low-income students, college is no longer the sure thing it used to be. Learn with us for around 1 to 2 years full-time, and we can help you launch a career-defining Software Engineer job that pays around $100,000. In return, we just ask for 15% of your first year’s salary after you start collecting paychecks. That’s it and you don’t pay us anything until then. We’ve been teaching people to code for over half a decade and our average salary in the US for our Capstone students is well over $100,000. We believe that with our experience and proven pedagogy, we can take ambitious and studious high school students to a six figure salary. 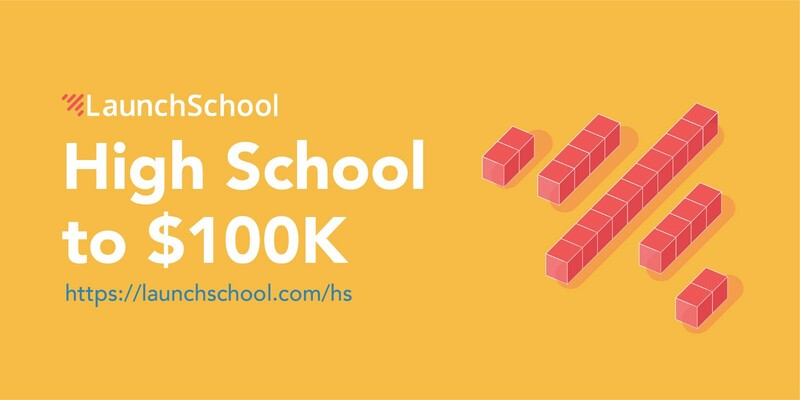 We’re happy to announce that this proposal is live today and high school juniors and seniors can now apply for our “High School to $100k” program.